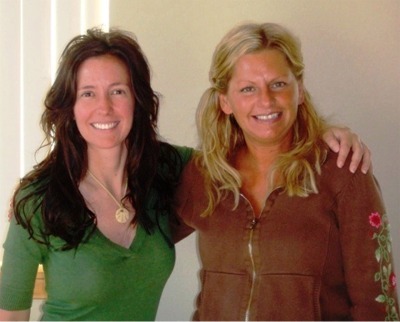 Frequently asked questions about hair extensions in Portland, Oregon. Are they visible to others? With many different types of attachments, colors and sizes available. The hair extensions blend perfectly with your own hair.... only you will know you have Hair extensions. Hair extensions can benefit clients wanting to add length fullness or shape as well as highlights and low lights without chemically processing the clients natural hair. With The Advanced hair systems you do not have to compromise the dexterity of your own hair. There are pictures of clients in between take downs and re application that you can view and compare to their prior pictures in the photo gallery . So as to see the hair growth and maintained health that is retained during during wear. How about color and texture of my hair? Any color or textures can be matched to blend with you own hair. How Do I Care For My Extensions? Fallon Hawk shown here, with her hair extensions in blonde. You can have your hair colored or permed and style your hair like normal. Even use your favorite tools like flat irons and hot curlers. With regular maintenance, the life of your hair hair extensions is up to you. Most people can go up eight weeks to three months before needing any service on their hair extensions . Depending on rather they wear weft,tape ins or strand by strand systems. And the hair is re-usable . What about My Natural Hair? Damage? Fallon Hawk shown here, with her awesome hair extensions. Damage to your natural hair is very minimal. 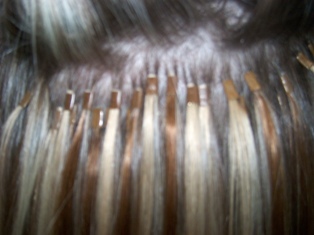 Most clients find the extensions are easier to care for than their exsisting hair. Not having to flat iron curl or color as much and By washing it and styling less it gives your hair a break from daily stress.